Some days later, Captain Harry Corsham – a war hero embarking upon a promising parliamentary career – is visited by the sister of an old friend. Her brother, passionate abolitionist Tad Archer, had been about to expose a secret that he believed could cause irreparable damage to the British slaving industry. He’d said people were trying to kill him, and now he is missing. To discover what happened to Tad, Harry is forced to pick up the threads of his friend’s investigation, delving into the heart of the conspiracy Tad had unearthed. His investigation will threaten his political prospects, his family’s happiness, and force a reckoning with his past, risking the revelation of secrets that have the power to destroy him. 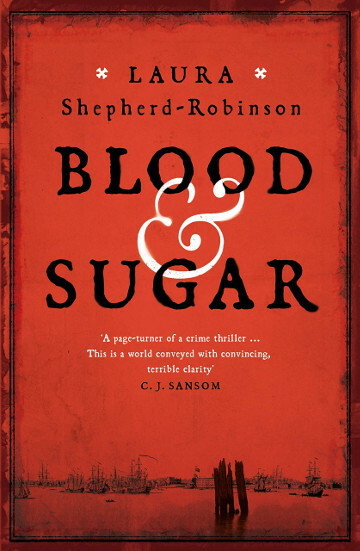 Blood & Sugar by Laura Shepherd-Robinson is published on 24 January 2019.